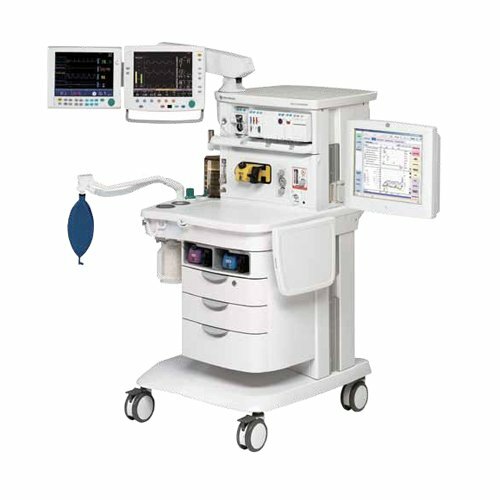 The Aisys Carestation for anesthesia is a scalable, flexible, and functionally integrated system, featuring advanced design ventilation, respiratory monitoring, and breathing system. The Aisys Carestation simplifies complex processes with its innovative design. The large-panel displays are mounted on a movable arm with 360° of rotation. You can easily reposition the displays to keep vital signs and ventilation controls in view and in reach at all times. Patient Spirometry™ measures airway pressures, flow, volumes, compliance and airway resistance, breath by breath at the patient’s airway.